By HeatherLynn on October 19th, 2009 . Filed under: Accessories, Clothing . 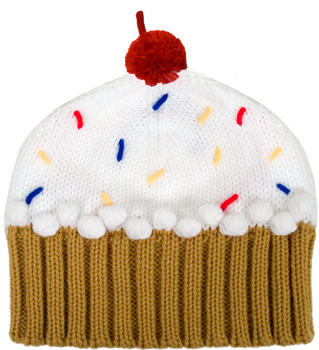 Looking to buy a new winter hat? 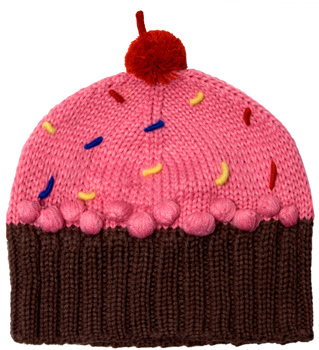 Want something different, not just the same old wool head warmer … Well dress in tasty style with this lovely Cupcake Beanie! It comes in 2 flavors … Strawberry & Vanilla! I think I might need that hat, ridiculous shipping price to Canada notwithstanding. shoppeHUB.com is the ONLY company that has this item in stock! how do i get one of these?!!!? i make them for 15 with shipping included….check out ball and chain crocheting on facebook.